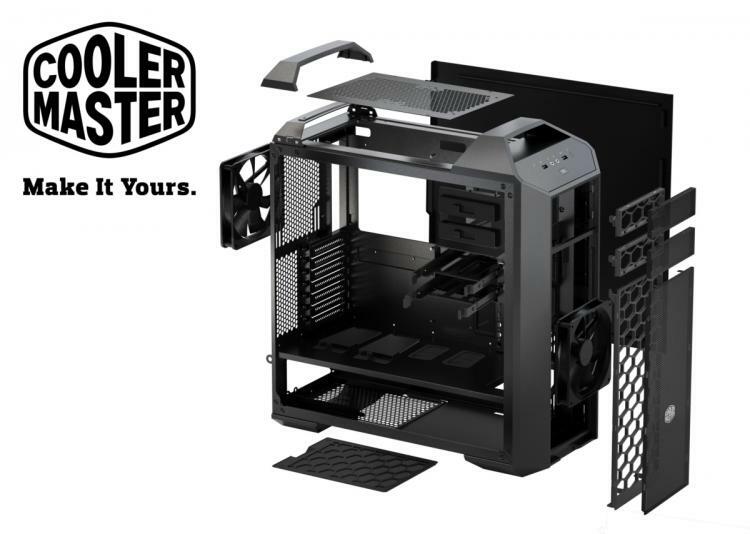 COMPUTEX’15, June 2, Taipei – Cooler Master is excited to announce the launch of the MasterCase, the world’s first mid-sized modular tower with exterior expandability. The MasterCase heralds a new family of cases that offer unparalleled control over form and function. It draws inspiration from the MasterConcept, a revolutionary concept case developed at Cooler Master Headquarters in Taipei. The MasterConcept and MasterCase break new ground in the way PCs are designed, made, bought and used. Fundamental to this reimagining is FreeForm™. Cooler Master wants users to have absolute control over how their case looks and functions. So FreeForm provides options to adjust the case exterior via the replacement of panels and doors, while also offering unparalleled flexibility for a mid-sized case in terms of interior layout. Computex 2015 will see Cooler Master debut the MasterCase 5, a 460mm-tall modular tower that comes in three distinct iterations: MasterCase 5, MasterCase Pro 5 and MasterCase Maker 5. Users can choose from the MasterCase 5’s dual top handles and standard door, the MasterCase Pro 5’s elevated mesh top cover, or the sleek lines, solid top cover and brooding, open-vent front door of the MasterCase Maker 5. In the MasterCase, FreeForm allows a single case to support a host of different configurations, enabling users to upgrade rather than replace their case and system. Through a unique clip-and click panel, FreeForm also lets users vertically adjust or entirely remove drive cages, allowing for multiple system configurations like home servers, water-cooled workstations, or gaming rigs with dual-slot extra-long graphics cards.